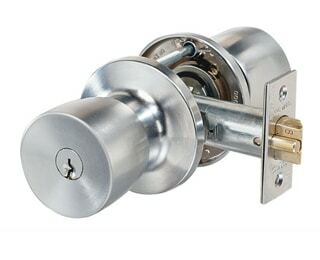 Designed as a non handed, easy to install lockset. This top quality range is suitable for residential and commercial applications including office partitioning, classrooms and storerooms. Can be keyed alike, master keyed, grand master keyed, maison keyed or construction keyed. 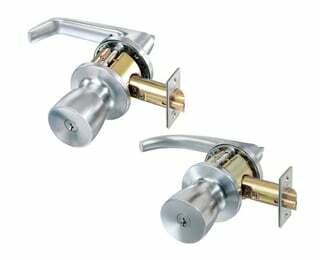 Combining the external 530 key in knob half set with the internal half set of either the 930 or 950 lever handle. 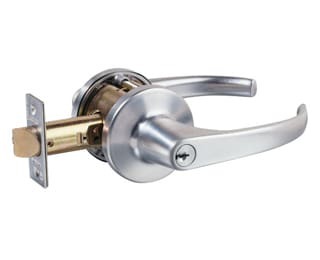 Ideally suited to the aged or disabled or when single action egress is required. These are compliant for the building code of Australia for most fire doors. These locksets are produced from high purity zinc alloy and available in a comprehensive range of functions and attractive finishes. Can be keyed alike, master keyed, grand master keyed , maison keyed or construction keyed. Successfully tested over a four hour period on fire door assemblies as specified by the Australian Standards. Has been tested for resistance level of up to 2 hours.